Ah, Christmas. It can be quite the romantic time of year, don’t you think? Whether you’re lucky in love or just looking for things to do with some friends, here are x festive date ideas for December to inspire you. 1. Winter Wonderland – most cities have a winter wonderland or something similar. Why not put on your cosiest outfit and go for a wander? Go on a few rides, eat something from the German food stands and have a nice hot chocolate. 2. Ice skating – a bit obvious, really, but if you’ve ever seen the Disney short “Once Upon A Wintertime” then you’ll think it’s dead romantic… or if you’ve seen Bambi, you’ll think it’ll be a right laugh! 4. Christmas films and chill – have a big marathon of Christmas films – my recommendations include Elf, The Muppets’ Christmas Carol, Home Alone and The Santa Clause. 5. Christmas crafts – I love making cards at Christmas. Raid a craft shop or Poundland, stick some Christmas music on and get making! You could also try some DIY Christmas gifts, too. 6. Christmas dinner – lots of places offer a festive menu in the run up to Christmas. Book a table and treat yourselves to a slap up 3 course Christmas meal. If you’re a blogger, then that’s more content for you! 7. Enroll in a workshop – I remember seeing my favourite YouTuber couple, Tanya Burr and Jim Chapman, go to a wreath making workshop and it looked so fun and creative. Why not see what’s on in your area and sign up? 9. Get busy in the kitchen – Pinterest, blogs and social media videos have lots of festive recipes for you to try. 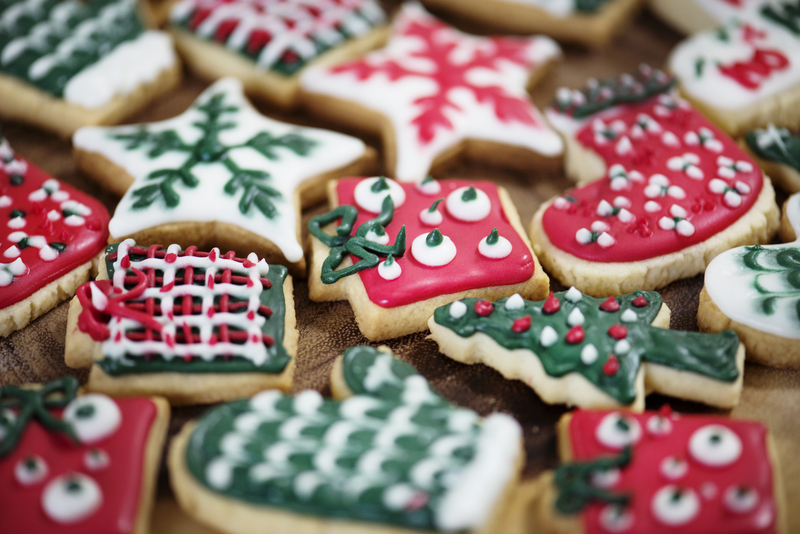 Bake some cookies, make some hot chocolate and try out some other Christmas delicacies. 10. Games night – dig out your old games (or use your console if you want to be more modern) and play as many games possible. You could turn it into a big challenge – whoever wins gets a prize or the loser faces a forfeit! 11. Carriage rides – if there’s somewhere doing a carriage ride, it’s definitely something to consider. How old fashioned and beautiful? 12. Help the less fortunate – t’is the season of giving, so give some of your time and effort to a charity or organisation. Whether you volunteer somewhere, make things for charity shops to sell or attend a charity event, give back this festive season with your loved ones. 13. Take a tour of the neighbourhood’s decorations – if you live in an area who have some outstanding Christmas decorations, hop in the car or take a walk to see them all. Or, you could drive through towns and cities to see how they have decorated. I also recommend going for a Drive through (McDonalds being my first choice) and putting a Christmas CD on to create better atmosphere. 14. Wrap presents – get the job done and spend time together wrapping presents for family and friends – but make sure to do each other’s on a different day, of course. 15. Book a daytrip – lots of places do day trips to different festive events. Whether it’s a Christmas market, a winter wonderland or a show – see what’s on and book to go somewhere new and exciting! 16. Indoor activities – bowling, cinema, museum… all these activities tend to be looked over during the summer, so make the most of the cold weather and go inside to do something interesting. 17. Walk the dogs – involve your furry friends and take them out for a nice walk. Don’t have a dog? Borrow one! Whether it’s a neighbour’s, family member’s or even on the Borrow My Dog app. 18. Photoshoot fun – take photos of each other and together. Dress up in Christmas jumpers, some santa hats or even your best outfits. Treasure the memories and take some adorable photos – your Instagram will thank you for it. 19. Pamper day – get some face masks, new PJs, some foot scrubs and any other spa-like items and give yourselves and each other a little TLC. 20. Take a nap – it’s cold, it’s winter, it’s a tiring time! Science proved that taking naps together increases your trust, bond and all that. Don’t ask me who said it, but someone did. Google it. I hope you have a fantastic time with your other half/friends. What Christmas date ideas do you have?